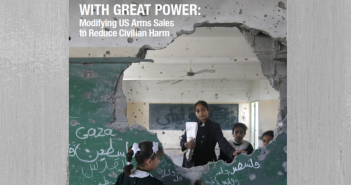 Your single destination for high-quality content from top think tanks around the world. Fresh reports and analysis as they are released to ensure valuable thought leadership work isn’t lost in the daily noise. 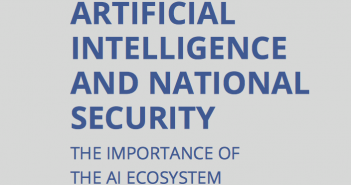 In its recent report, “Artificial Intelligence and National Security: The Importance of the AI Ecosystem,” the Center for Strategic and International Studies writes that “AI has profound potential to affect the balance of power in both the global economy and in military competition. While AI has a long history, AI has begun to deliver results within the last decade, particularly with the recent rapid progress in machine learning and the increased availability of data and computing power. As impactful as the recent progress has been, AI remains highly problem-specific and context-dependent. 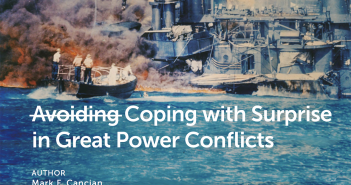 It has proven extremely challenging to translate the progress in some fields to others, even those that are closely related. Enthusiasm in both the public and private sectors has obscured the importance of building the robust supporting capabilities for AI—an AI ecosystem—that are crucial to successful AI adoption.” The report was sponsored in part by Thales USA. 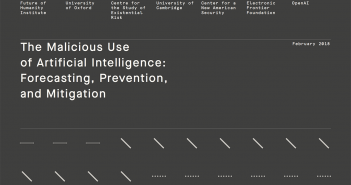 “The Malicious Use of Artificial Intelligence: Forecasting, Prevention, and Mitigation,” a February 2018 joint report from the Center for a New American Security, the Future of Humanity Institute, the Centre for the Study of Existential Risk, the University of Cambridge, the Electronic Frontier Foundation and OpenAI, looks at the potential for artificial intelligence to be weaponized in the digital, physical and political security domains, predicts the future AI threat landscape and offers preventative recommendations for policymakers to combat the risk of misused AI. 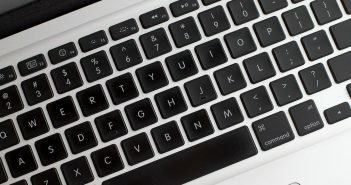 “This report surveys the landscape of potential security threats from malicious uses of artificial intelligence technologies, and proposes ways to better forecast, prevent, and mitigate these threats,” the report reads. 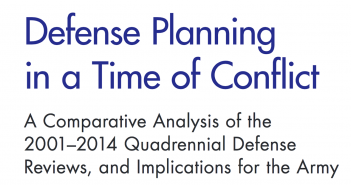 “We analyze, but do not conclusively resolve, the question of what the long-term equilibrium between attackers and defenders will be. We focus instead on what sorts of attacks we are likely to see soon if adequate defenses are not developed. 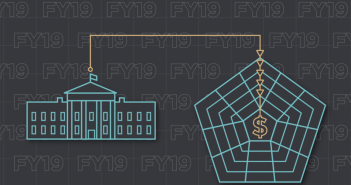 In “Overview of the 2019 President’s Budget Request for Defense,” a Feb. 15, 2018, report from the Center for a New American Security, authors Susanna Blume, a CNAS Defense Strategies and Assessment Program fellow, and Lauren Fish, a research associate with the program, provide a bird’s-eye look at what the White House’s FY19 defense-budget request means for readiness, procurement, research, development, test and evaluation, the Missile Defense Agency, US Army, US Navy, US Marine Corps and US Air Force, and the US Defense Department, as a whole. 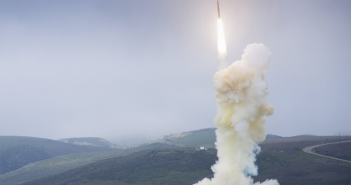 “Even in these times of increasing budgets, DoD must still make tough decisions about what to prioritize and where to accept risk,” they write. 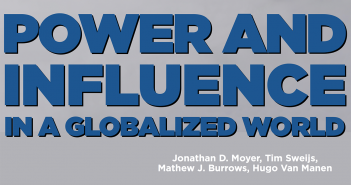 In “Power and Influence in a Globalized World,” a February 2018 joint report from the Atlantic Council’s Scowcroft Center for Strategy and Security, the University of Denver’s Frederick S. Pardee Center for International Futures and the Hague Center for Strategic Studies, authors Jonathon Moyer, PhD, Pardee Center director, Tim Sweijs, HCSS research director, Mathew Burrows, PhD, director of Scowcroft’s Foresight, Strategy, and Risks Initiative, and Hugo Van Manen, a junior consultant at Ecorys, present “the Foreign Bilateral Influence Capacity (FBIC) Index,” which looks to take an intersectional approach to evaluating the power and influence of global states. 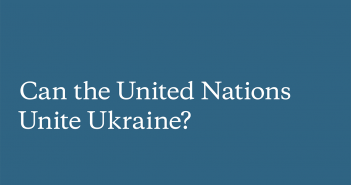 “The FBIC is tasked with identifying the key influencers in the international community, and analyzing those that register above or below their weight in the world, altogether clarifying where the United States and others stand in the international system,” the Atlantic Council writes. “The FBIC Index is based on the interaction between states, as well as the relative dependence of one state on another.